Volant Cold Air Intake 2004-2015 Nissan Titan, Nissan Armada, 5.6 V85Ken A.February 27, 2012Manufacturer instructions could be better but have installed this product in the past...user forums closed the gap too. Either way product functions great! Volant Cold Air Intake 2004-2015 Nissan Titan, Nissan Armada, 5.6 V85GCorizAugust 6, 2011Only took about 30-40 min. Looks Great and sounds even better. I get about 2 miles more per gallon. Would probably do better if i layed off the pedal but it sounds so nice. Great Deal! Volant Cold Air Intake 2004-2015 Nissan Titan, Nissan Armada, 5.6 V85glw325June 12, 2010Air box is highly recommended but the 3" neck for the Ram Air Kit included a 3 1/2" Cap. Rather than call to get the correct size, I orded the Ram Kit elsewhere and it listed "Bolt, Nut & Washer" and none were included. Volant needs to improve the Inspection process. (A search on other Titan Forums shows shipping the larger size cap that doesn't fit is common). The Ram Air Kit is awesome but sad Volant puts you in a position you buy it due to their mistake! Volant Cold Air Intake 2004-2015 Nissan Titan, Nissan Armada, 5.6 V85JJanuary 21, 2009Installation took about an hour, even with me taking my time. It was very easy to install. Out with the old and in with the new. Big difference. 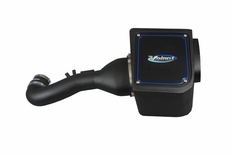 Volant Cold Air Intake 2004-2015 Nissan Titan, Nissan Armada, 5.6 V85Troy SalenskyDecember 23, 2008This was just what I needed to wake up my truck. I plan on buying the scoop for it next week and can't wait to see the results! Way more than I was expecting from just an intake! 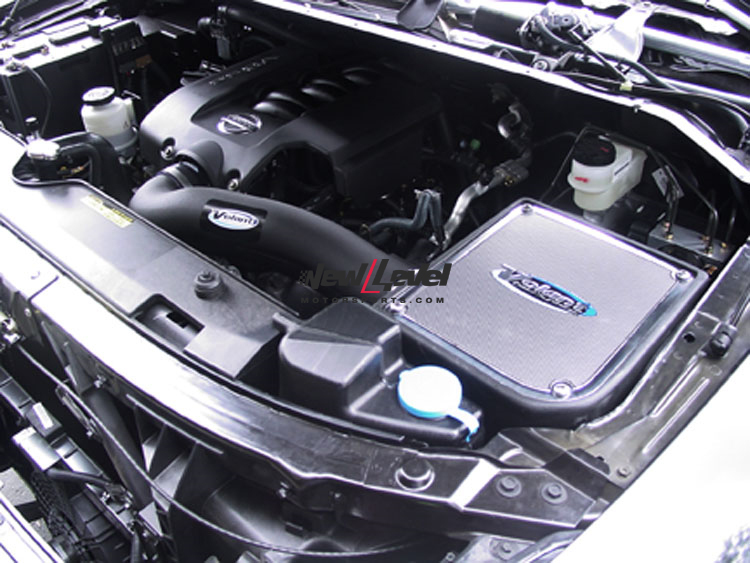 The part number for this Volant Intake is 12856 or 128566 (depending on which filter you choose) and it fits 2004-2015 Nissan Armada Nissan Titan 5.6 models.